Fort Lauderdale Yacht Detailing | A + Marine Detailing Inc.
All your maintenance needs PLUS, the quality you deserve! 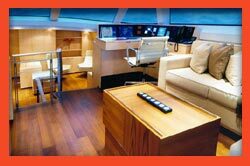 We are a full service professional yacht detailing company. A + Marine Detailing Inc.
All your maintenance needs PLUS the quality you deserve! 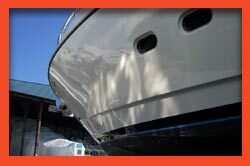 A+ Marine Detailing, Inc. is a full service professional yacht detailing company. We specialize in contracted and pick-n-choose boat detailing services. Our detailing plans come in three primary packages or we can develop a custom detailing program based on your specific needs. While we offer yearly agreements, we are happy to show you our services on an as-needed basis. Boat detailing from A+ Marine Detailing Inc. is quite simply a boater's dream! We detail your boat regularly based on your needs, perform any servicing or additional needs you may have, and bill you automatically. No more fussing, details, or headaches. We take care of it all. A+Marine Detailing is here for you whether you need one day's work or an entire year of service. We are happy to provide quotes on an as-needed basis. Just let us know how we can assist you. We offer a discount to active, and former military members as well as all law enforcement officers. Owner operated, A + is a member of the Marine Industry Association of South Florida. Licensed and insured, including workers comp. and USL&H. We have the capability to work in any marina or boat yard in the country. We have a unique polishing system that is second to none. We can seal, clean, or sand your teak. We offer a full interior cleaning service, as well as provisioning.